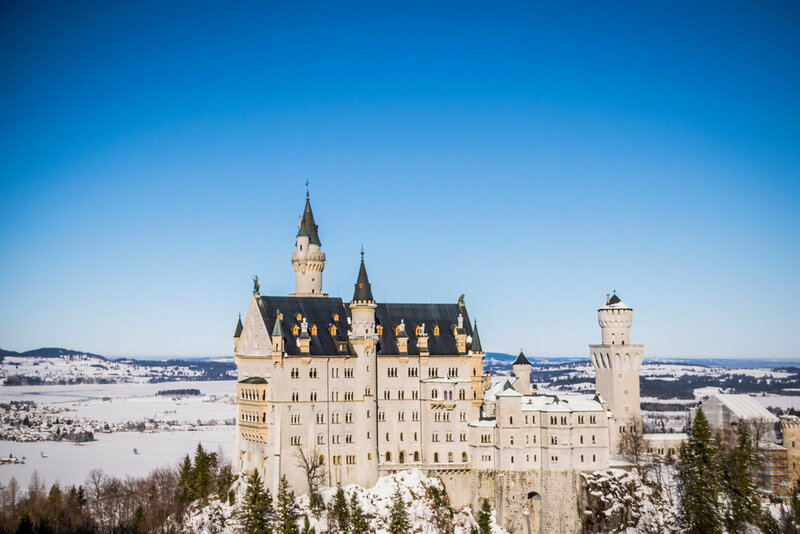 Neuschwanstein Castle is without a doubt Germany's top tourist destination, welcoming 1.3 million visitors a year and up to 6,000 visitors a day. (That's a lot of people wandering around a castle built for one reclusive king.) 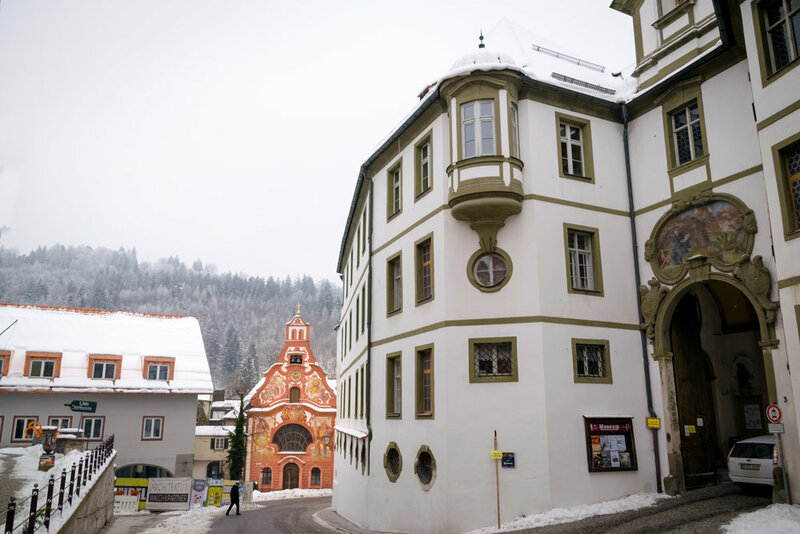 There is no such thing as "off season" for this dreamy, Romanesque Revival palace in the mountains overlooking Hohenschwangau village, as I discovered recently when I visited on a snowy January day. 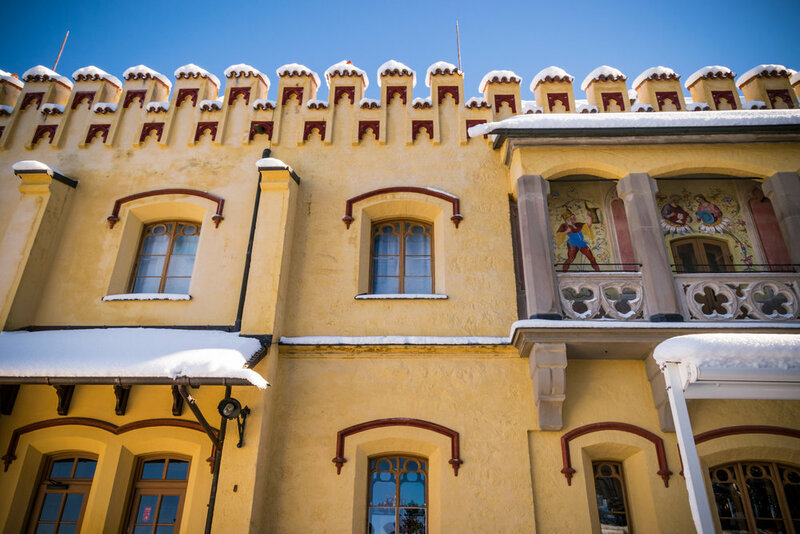 Visiting this Bavarian castle takes a lot of planning ahead because it's in a remote (but beautiful) town, so I stayed in nearby cheek-squeezing cute Füssen for a week to better enjoy the trip and scenery. 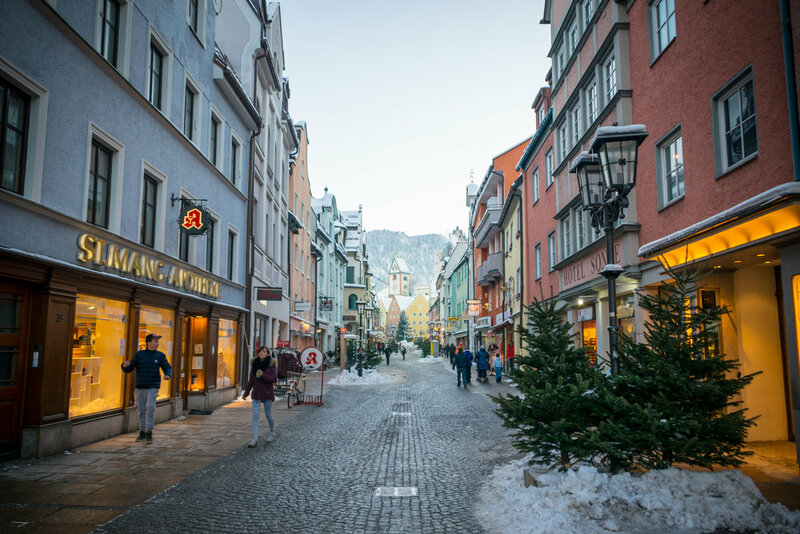 Here are some of the highlights from my stay in Füssen and day trip to Neuschwanstein Castle. 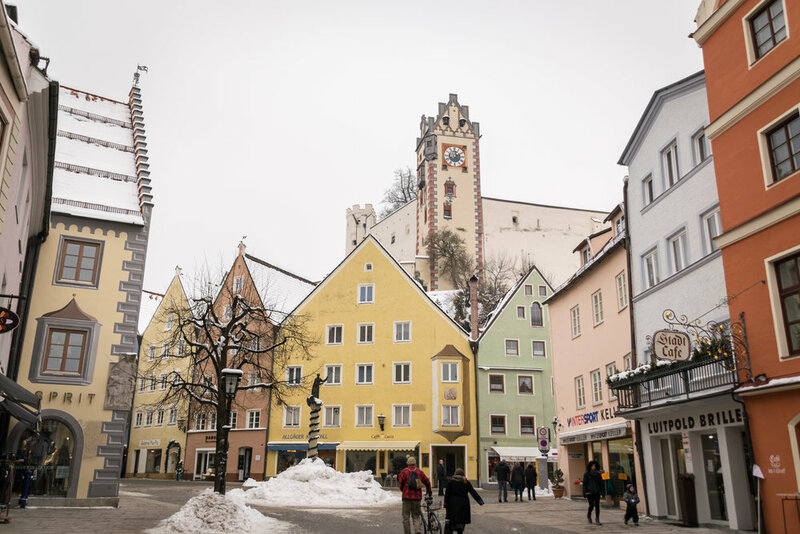 Füssen has the feel of a small ski resort town with its cozy car-free downtown and timber frame buildings painted pastel. 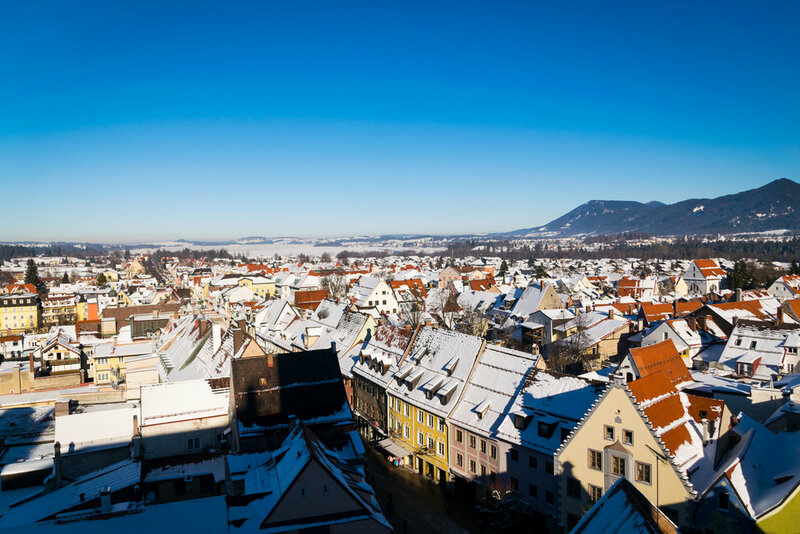 There are lots of shops, cafes, hotels, and restaurants downtown and the medieval Hohes Schloss Füssen sits perched above it all. 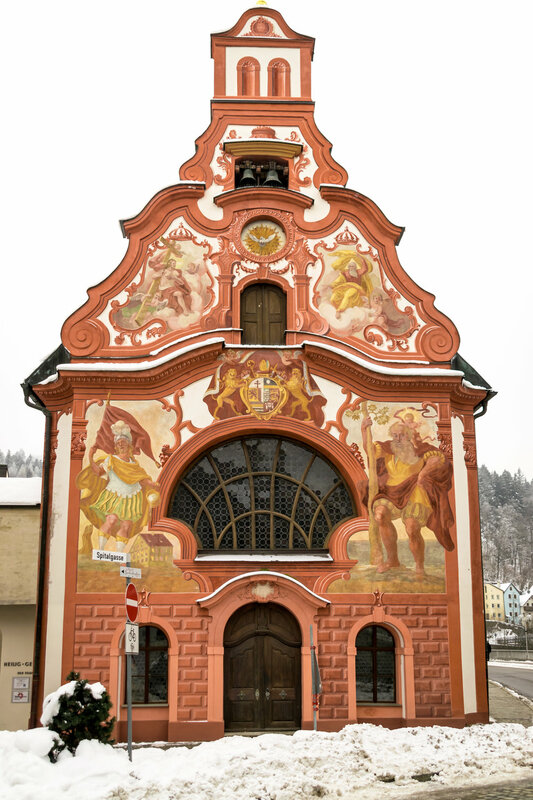 One notable thing in Füssen is the illusionist painting on building exteriors, a trend that started with the castle in the 1400s. 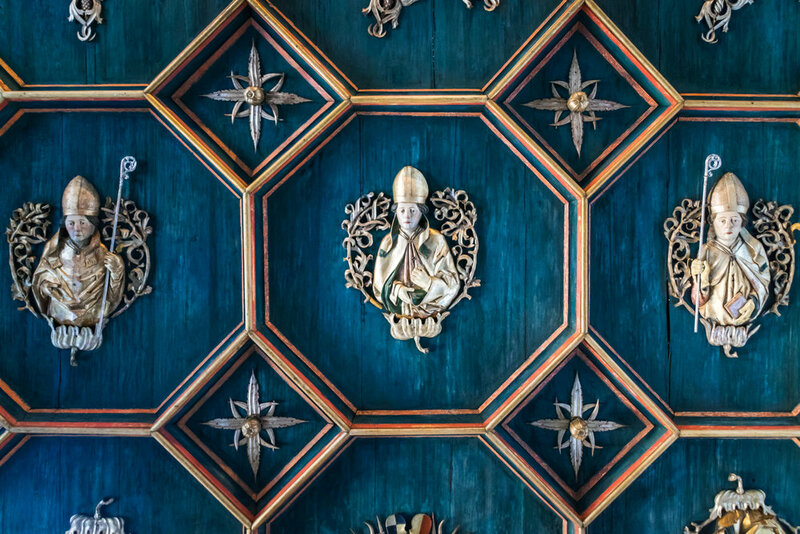 (I asked the gentleman selling tickets at the castle if the paint was original and he said yes, which is incredible because it's so bright and well-maintained.) 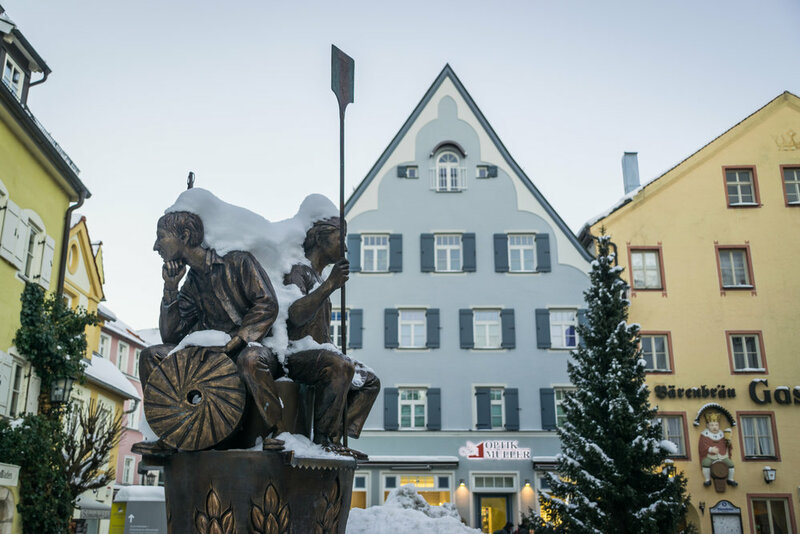 There isn't much to do in Füssen in terms of activities, but it's a great place to relax, enjoy nature, and take in some castles. 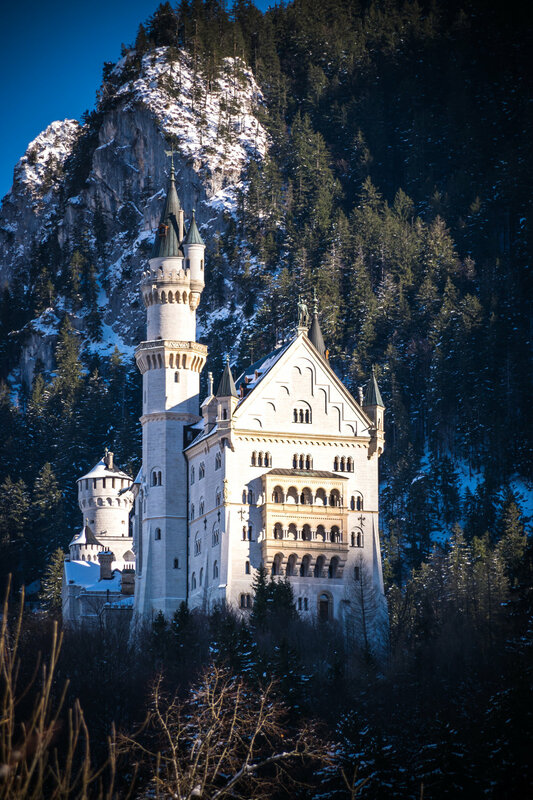 When visiting Neuschwanstein, be prepared to share tight spaces with crowds of your fellow tourists; what's a little claustrophobia for a castle, right? 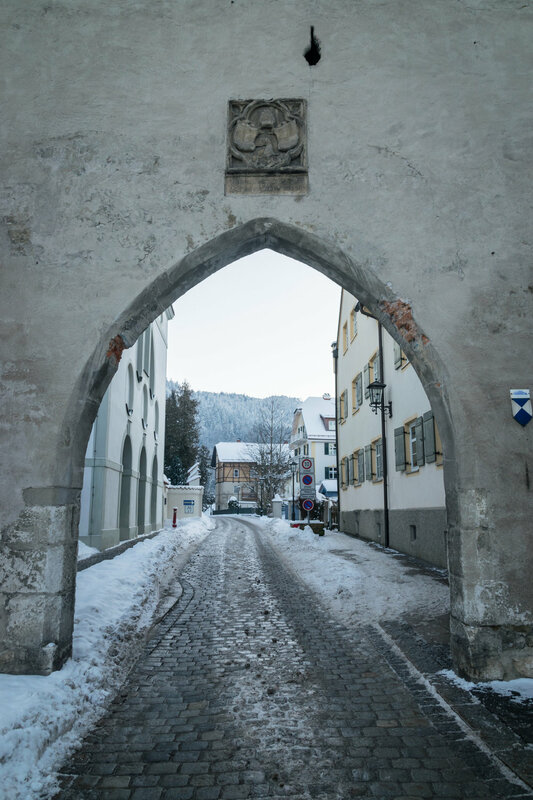 Since the king's death in 1886 and the castle was opened to the paying public, busloads of castle-goers descend on the tiny village of Hohenschwangau every day and trek up the mountain to visit the castle(s). 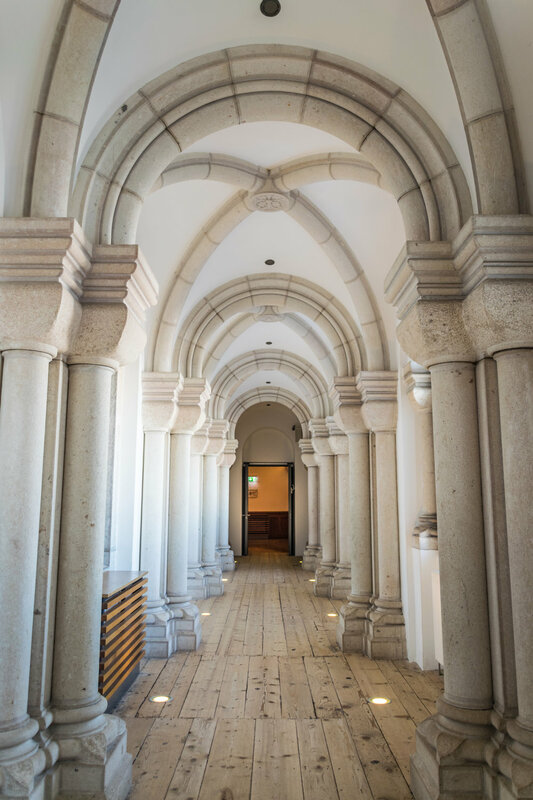 Nowadays, they wait for their designated time slot to go on a brief (30-minute) group audio tour of a few unbelievably opulent rooms (no photos!) before being shuttled into the gift shop. I was a little disappointed by how impersonal and rushed the tour felt, considering the amount of effort that went into the visit. 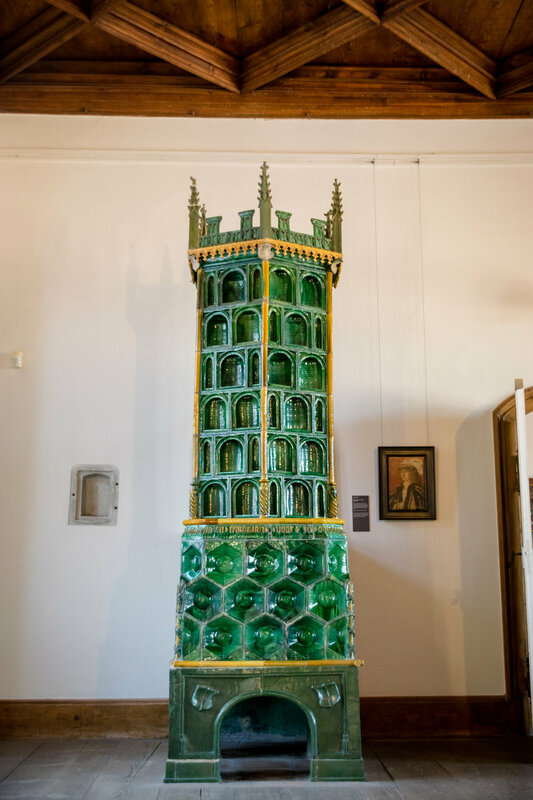 The ticket was €11 (about $12), which is not very expensive, and I'd definitely pay more for a more thorough tour. 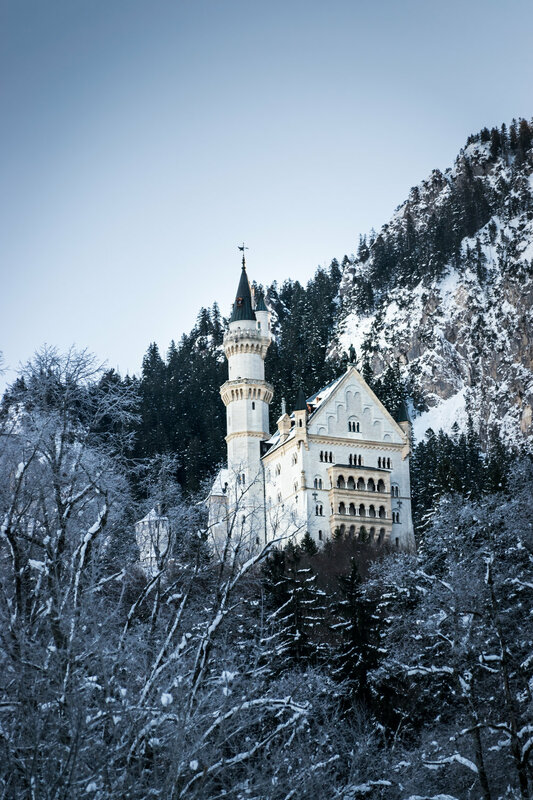 I don't mean to complain about Neuschwanstein because it is a breathtaking marvel, I'm just saying that Germany has plenty of amazing castles that may be worth visiting in lieu of Neuschwanstein. 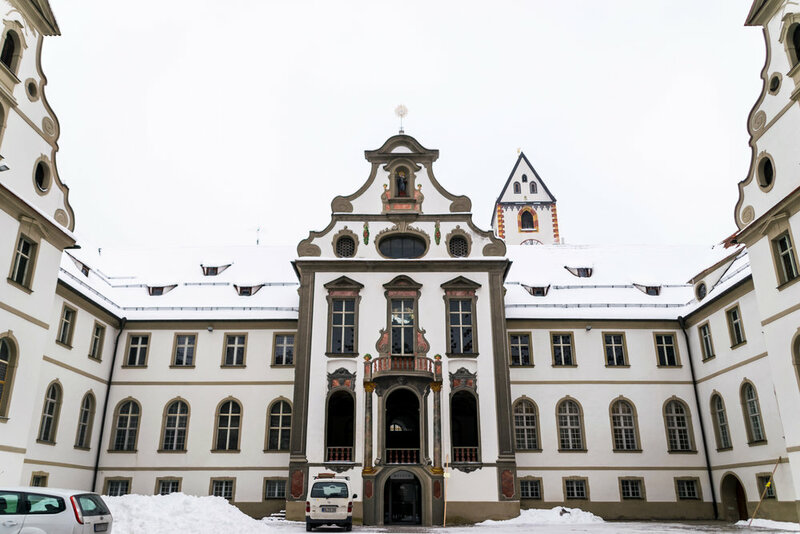 It's worth noting that this castle is not a UNESCO site (I believe it's being considered) and is a fairly "new" castle, built in the late 1800s, that was only occupied by one king. 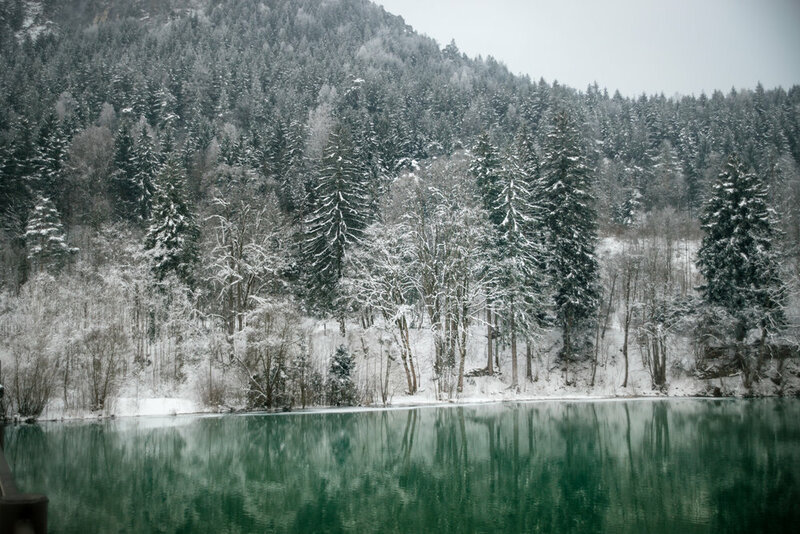 One site highlight is the nearby Queen Mary's Bridge (Marienbrucke), a gorgeous, sun-dappled spot in a secluded mountainside crevice; visitors can hike to the bridge and take great pictures from there. 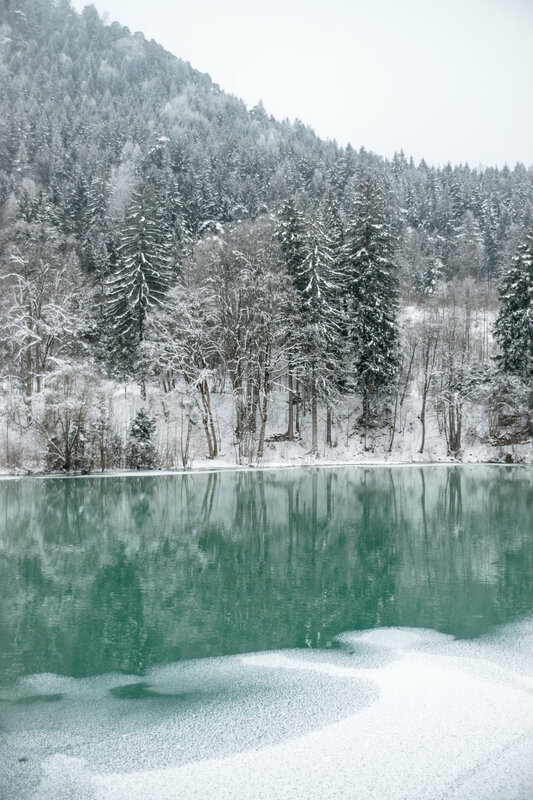 Across the way from Neuschwanstein and much closer to town is the Hohenschwangau Castle. 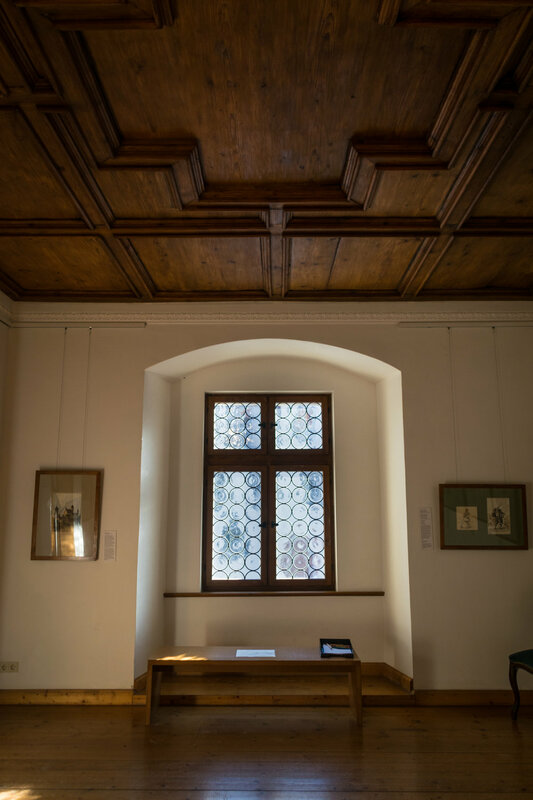 This summer and hunting residence for royalty was built in the 1830s by an Italian architect, which may explain some of the Mediterranean architectural details.